1) Add baking soda to a mixing bowl. Updated to add - I don't really measure. Maybe 2-3 cups? 2) Slowly add water until you've made a thick paste. Updated to add: add just a little water a time. You'll want the mix to feel like putty. 3) Add 15 drops of each essential oil. 4) Spoon in to a muffin tin, and let sit out for 12-18 hours. You can also bake these, but I just left them out overnight. Added 4/7/12 - for anyone who is having issues with these being "crumbly", try using 1 cup of baking soda and 1/3 cup of water (plus maybe a few tbslp more) and baking for 20 minutes at 350. THEN add a few drops of each essential oils to the cooled "puck". That was a suggestion from a commenter and I tried it this morning with great success! I'm a quick shower taker (less than 5 min), and my "disk" was only about 1/3 gone at the end of the shower. Additionally, I'm not a doctor (nor a butcher, baker, or candlestick maker), so if you have any medical conditions, contact a medical professional. 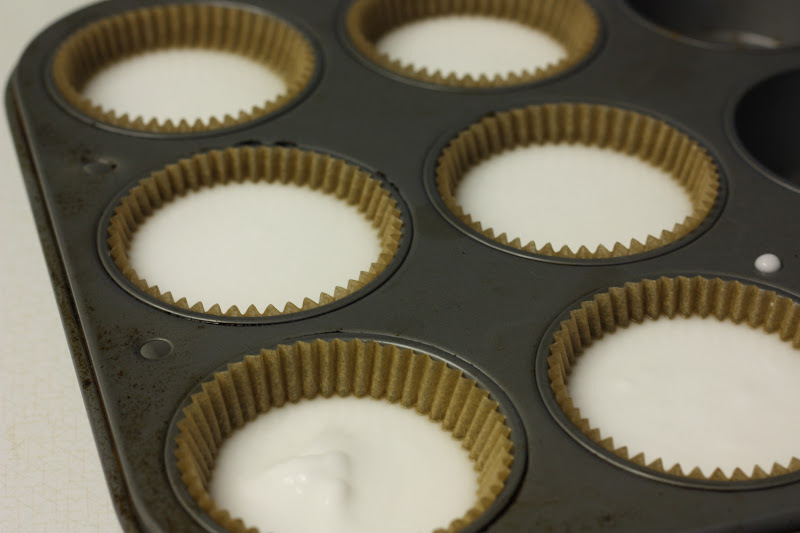 Added 10/2/12 - if you're not using a silicone muffin tin, remove the liners before the pan has completely cooled. And yes, you need to remove these from the liners in order to use. You can store these in an plastic container, mason jar, etc.